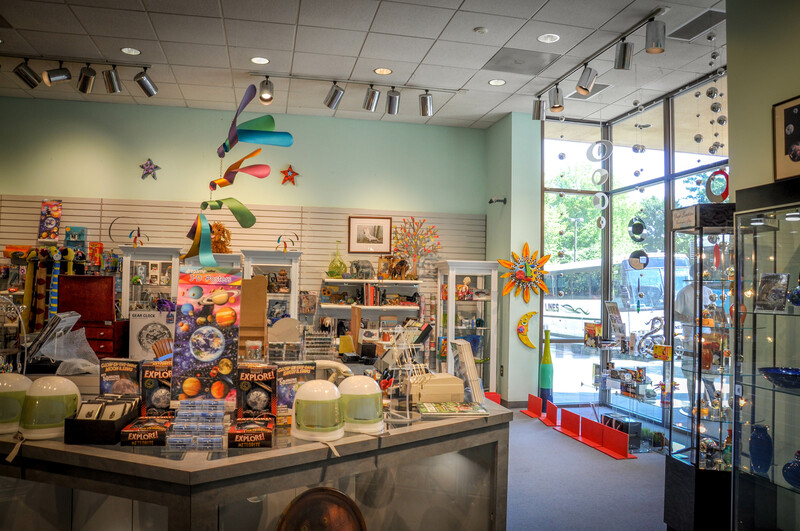 Located near the Museum’s main entrance, the Museum Store offers visitors of all ages a way to bring home a bit of the MAS experience, including, but not limited to, educational and artistic items, fun toys, beautiful pieces of art, and items by several local artists who showcase their work on consignment. Find rocks, fossils, ant farms, globes, puppets, dinosaurs, books, art kits for creative youngsters, and much more. Adults appreciate the Museum Store’s wide array of unique, nature-inspired jewelry, art cards, pottery, glass art, and many items related to Museum exhibits that change throughout the year. Additionally, the Museum Store offers companion books, DVDs, and other souvenir items associated with current and past Museum exhibitions. The Museum Store is open during Museum hours.